1. 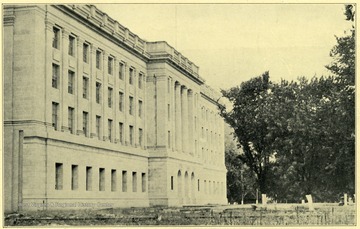 First Unit of the New State Capitol, Charleston, W. Va.
First Unit of the New State Capitol, Charleston, W. Va.
2. 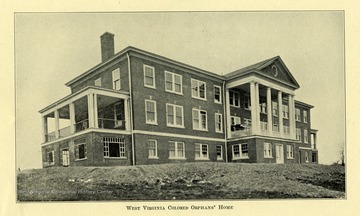 West Virginia Colored Orphan's Home, Huntington, W. Va.
West Virginia Colored Orphan's Home, Huntington, W. Va.
3. Silver Hall, West Virginia Industrial Home for Girls, Salem, Harrison County, W. Va.
Silver Hall, West Virginia Industrial Home for Girls, Salem, Harrison County, W. Va.
4. 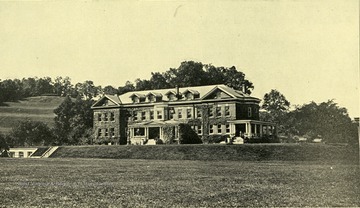 West Virginia Industrial Home for Girls, Salem, Harrison County, W. Va.
West Virginia Industrial Home for Girls, Salem, Harrison County, W. Va.
5. 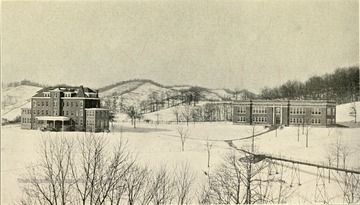 Winter Scene, West Virginia Industrial Home for Girls, Salem, Harrison County, W. Va.
Winter Scene, West Virginia Industrial Home for Girls, Salem, Harrison County, W. Va.
6. 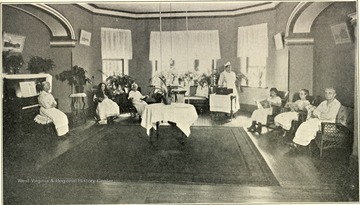 Patients and Nurses in Ward B, Weston State Hospital, Lewis County, W. Va. 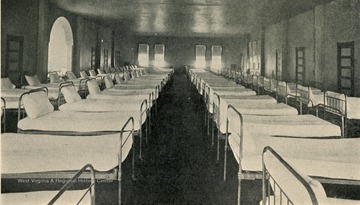 Patients and Nurses in Ward B, Weston State Hospital, Lewis County, W. Va.
7. 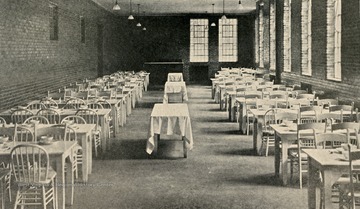 General Dining Room at Weston State Hospital, Lewis County, W. Va.
General Dining Room at Weston State Hospital, Lewis County, W. Va.
8. 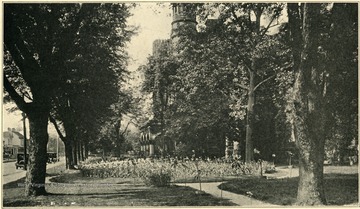 Front Lawn, Weston State Hospital, Lewis County, W. Va.
Front Lawn, Weston State Hospital, Lewis County, W. Va.
9. Domitory, Weston State Hospital, Lewis County, W. Va.
Domitory, Weston State Hospital, Lewis County, W. Va.
10. Cell Block In West Virginia Penitentiary, Marshall County, W. Va. 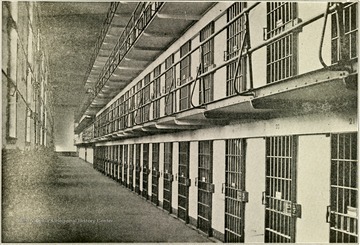 Cell Block In West Virginia Penitentiary, Marshall County, W. Va.
11. 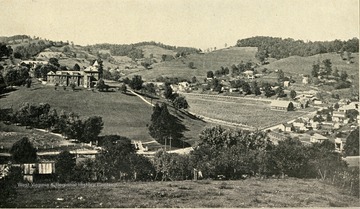 Inmates Working in Overall Factory at West Virginia Penitentiary, Marshall County, W. Va. 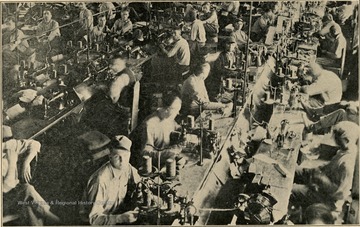 Inmates Working in Overall Factory at West Virginia Penitentiary, Marshall County, W. Va.
12. 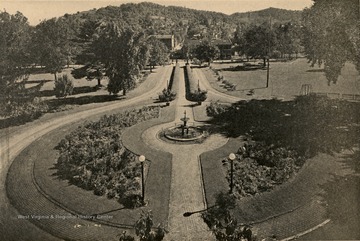 Main Entrance and Lawn of West Virginia Penitentiary, Marshall County, W. Va.
Main Entrance and Lawn of West Virginia Penitentiary, Marshall County, W. Va.